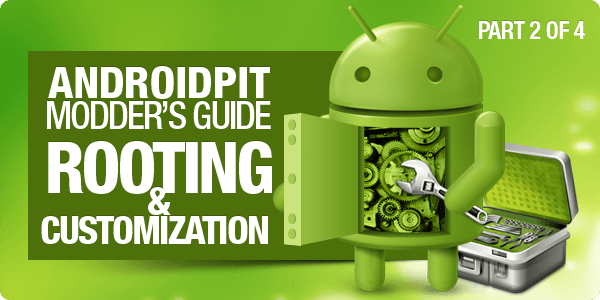 So here we are with part 2 of our new Rooting and Modding section, and here I'm going to show you how to gain root access on your Samsung Galaxy SII. Once this is done, you can install lots of apps that are designed for rooted phones only, can access and possibly adjust processor speeds, install custom ROMS on your phone, along with a million other things. It's important that we get root first, so this video will be solely on getting root access. The NEXT video will focus on flashing a custom ROM. It's your decision if you would like to wait for the next video so that you can get root and install a custom ROM at the same time, or if getting root access is all you want to do right now. You won't notice a lot of changes visually once you have root, but the under the hood changes are everywhere. So here are step by step instructions on how to gain root access on your Samsung Galaxy SII. Full credit for this goes to XDA Developer users lyriquidperfection, Odia, and the Cyanogenmod team. Without these guys, we wouldn't be able to root this awesome device. With that said, let's get started. You're going to need a few files in order to get started. These instructions go hand in hand with the video. These instructions are for PC ONLY, NOT MACS. It's also important that your battery is FULLY CHARGED before doing this. If your battery goes dead in the middle of the root process, you can possibly break your phone. !!! !DISCLAIMER: Rooting your phone has risks, and if instructions aren't followed you can BRICK YOUR DEVICE. We are NOT responsible if your phone breaks, if world war occurs, or if your dog dies!!!! Read this entire article before you make your decision. Remember, you're phone can also be unrooted if you change your mind later. So, you will firstly need to install Samsung Kies, and then unzip the Galaxys2root file and extract the files to a folder. You will see a file called "Odin3 v1.83" and ""S2 Root. Exe". You will need both of these files to get root. So before you start, you will need to go into your phone, open settings and scroll down to "About Phone". At the bottom of the page you will see a field that says "Build Number". You need to write that number down and note the last 5 letters/numbers. Based on what you wrote, go to the link HERE at XDA developers, and download both the insecure AND secure kernals that match your phone. Put those in a folder as you will need them very soon. Whey unzipping them, it will prompt you for a password. That password is ""odia@xda" (without quotes). Also, go into settings-applications-development, and tick the box that says "Enable USB Debugging". This is very important. Now we need to get your phone into download mode. To do this, firstly turn off the phone. When it's powered off, hold down the Volume Down, Home, and Power button AT THE SAME TIME. If you do this right, a screen will popup with a big yellow triangle and a disclaimer about custom ROMS. It will also say "Downloading". If you want to continue, press up, or down if you change your mind and want to cancel. If you want root, press up. Once, your phone is in download mode, connect the phone to your PC and open the "Odin" program. If you installed Samsung Kies correctly, you should see the box in the top left corner of Odin underneath where it says ID:COM, there should be yellow box displaying the name of a Com Port your device is connected to. The only settings that should be ticked in Odin are "Auto Reboot" and "F Reset". Now press the PDA button and it will prompt you for a file. Go to the INSECURE kernal you installed. Once you have done this, press the start button. Your device will now reboot. If you have done everything correctly, you will notice a Yellow Triangle with an exclamation mark on the boot screen when the device is starting up. This indicates you are running an Insecure Kernel with temporary root privileges. Once the device boots back up, open the "S2 Root" exe program, and press "Root". Wait for your device to reboot. (Optionally, if you want to remove the yellow triangle, you can flash the secure kernal you downloaded from XDA to remove it. I'll show this on a later video). Once your device reboots, check to see if you have an app called "SuperUser. If you don't, run the root program again and press root (I normally have to do it twice). You now have access to lots of cool and useful "root only" apps in the market and full "admin" rights/permissions for your phone. You can also fully backup your apps or even your entire operating system (more in the next video). When usung these apps, your phone will ask permission for "root access". When it prompts you, simply press "Allow". In the next video, I will show you how to install a custom Gingerbread or Ice Cream Sandwich (both from Cyanogenmod) on your phone! Again, full credit for this goes to XDA Developer users lyriquidperfection, Odia, and the Cyanogenmod team. Without these guys, we wouldn't be able to root this awesome device. Stay tuned for "Installing a Custom ROM" video! HI MY NAME IS AHAMED I'M USING S2 FOR THE PAST 6MONTHS AND I WAS INTRESTED TO PUT CUSTOM ROM AND I ROOTED THIS DEVICE BY SEE THIS VIDEO AND NOW I'M GETTING THE YELLOW TRIANGLE WITH A EXCLAMATION MARK ON IT AND NOW ITS NOT SWITCHING ON WHAT CAN I DO? PLS TELL ME IM IN A CRYING SITIUATION. Hello @Aaron . Thanks for good work! They cant be found neither on link provided nor in link which says - "Sorry, but older versions of kernels have been moved to <here>" ... That <here> ir link to hotfile.com, which wont open. Guys, I have the same problem... I have the international version of the Galaxy SII and I got it off contract. It's build number ends in XXLQB and there's no matching kernel in the XDA post.... Should I try to find them somewhere else? CAN I find them anywhere else?? im only on the BVKJ4 version because of the orange signal boost app !! im using S2 on orange with baseband version BVKJ4, and i couldnt find that on the list of kernels from XDA, is there another way to root my hpone? Is this guide works on non G model? @Fathey If you are looking for information on how to add aribic keyboards check our forum out. People have already posted several therads about how to add aribic to your Android device. I'm not sure I understand your question. Can you be a bit more specific?